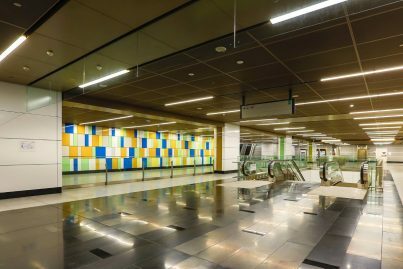 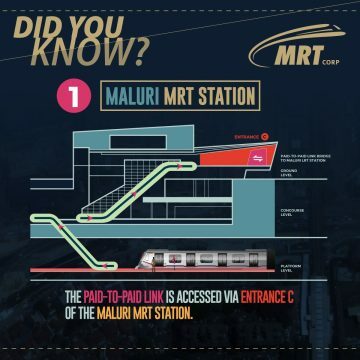 Maluri MRT Station is an underground MRT station located on the eastern fringe of Kuala Lumpur, situated near and named after Taman Maluri in Cheras. 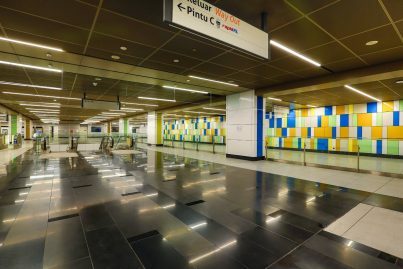 This underground Maluri MRT station serves the MRT Sungai Buloh-Kajang Line and the station serves as a paid-to-paid interchange between the MRT and the LRT lines. 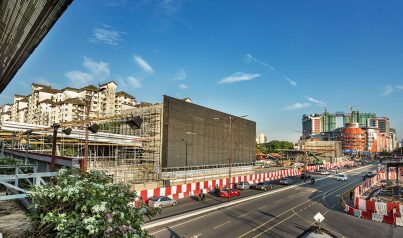 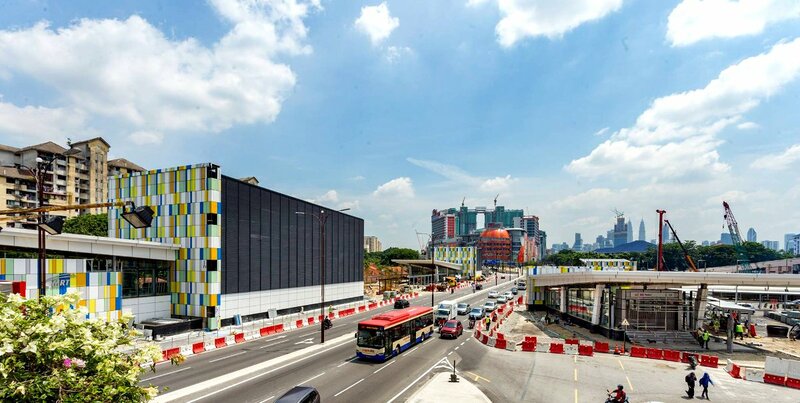 The station is located at Jalan Cheras Lama near AEON-JUSCO Taman Maluri shopping center, adjacent to Jalan Cheras and Kerayong River, with access points towards the road and the eastern tip of Taman Miharja. 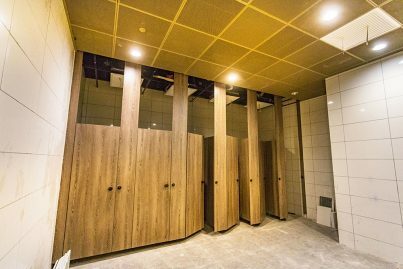 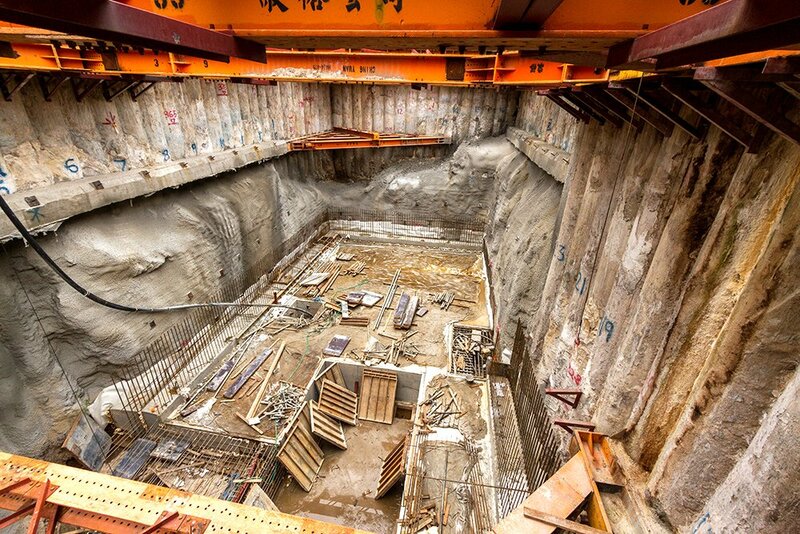 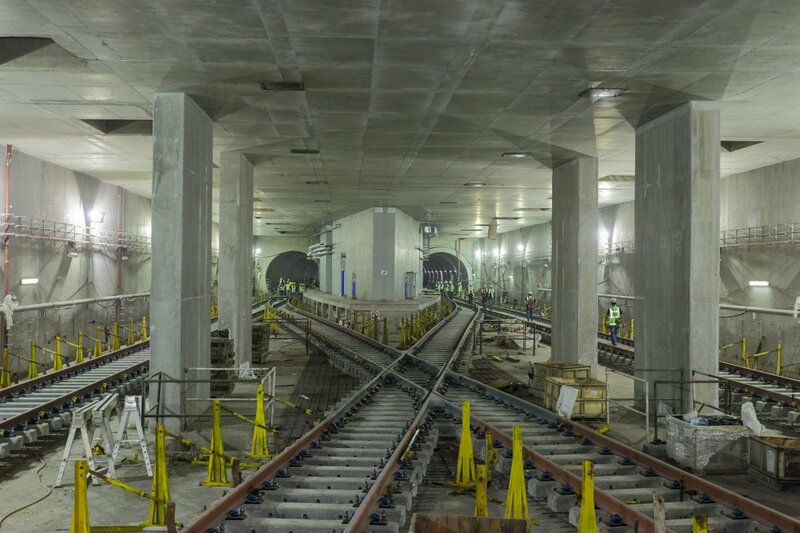 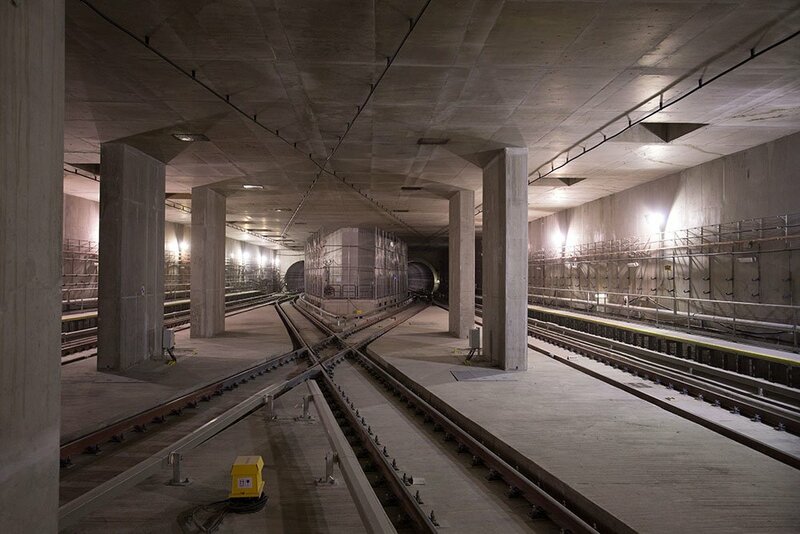 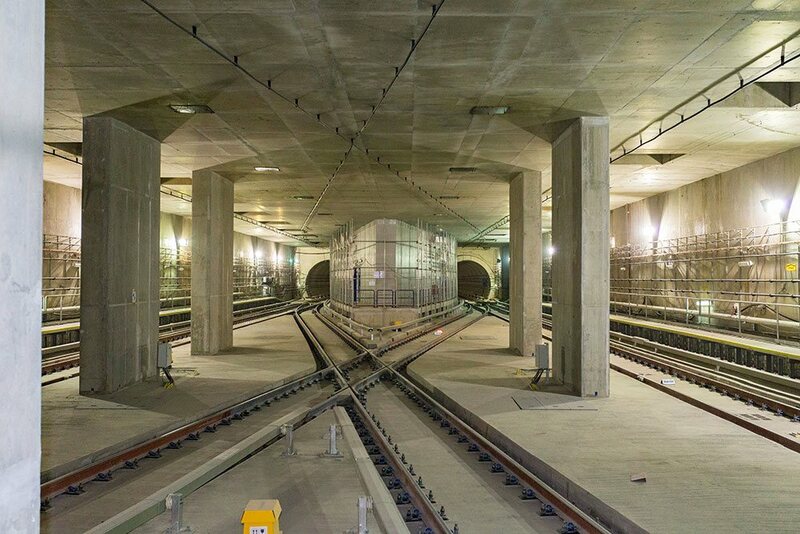 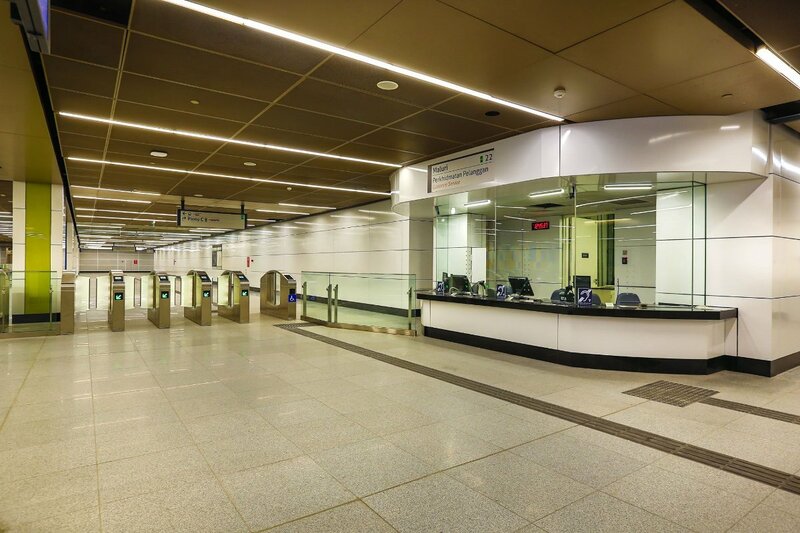 The station has two levels – a concourse level with fare gates, customer service office, toilets and machinery rooms. 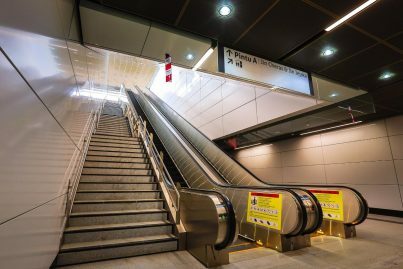 Escalators lead down to the island platform below. 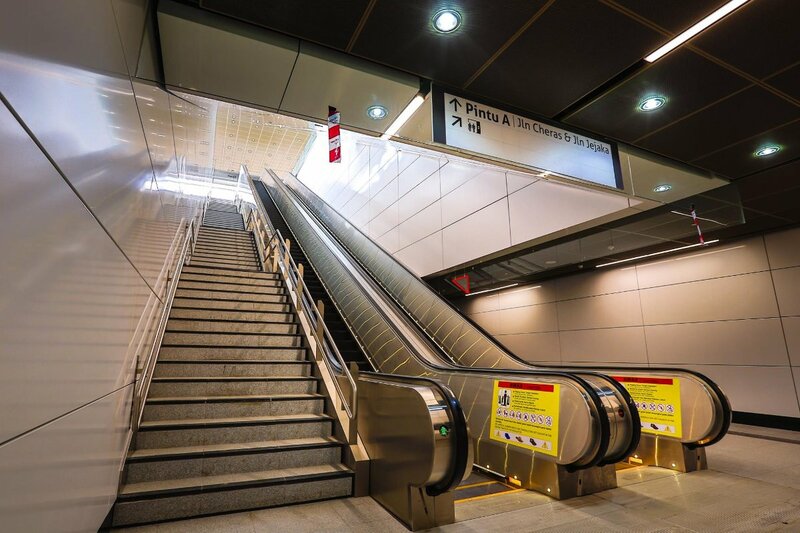 The MRT station four entrances/exits with escalators, lifts, and staircases. 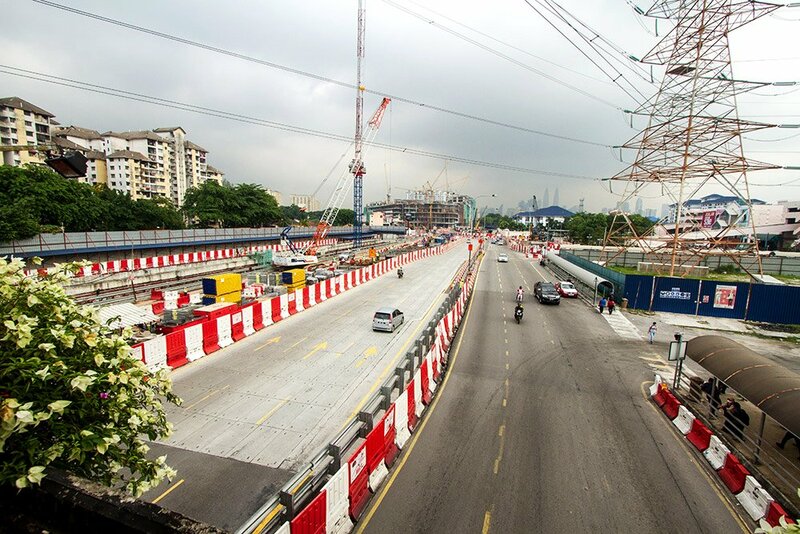 Entrance A is located on the Kajang-bound side of Jalan Cheras allowing access to AEON Taman Maluri Shopping Centre. Entrance B on the Kuala Lumpur-bound side of Jalan Cheras allowing access via a covered walkway to Sunway Velocity Shopping Mall. 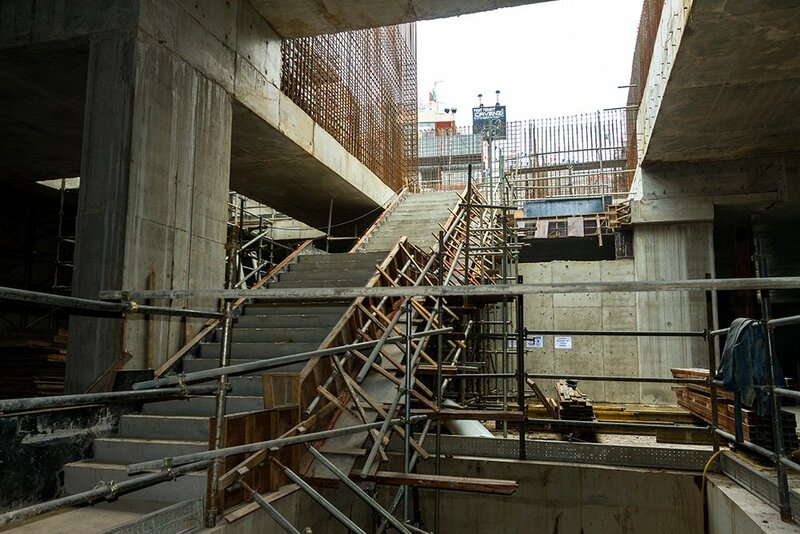 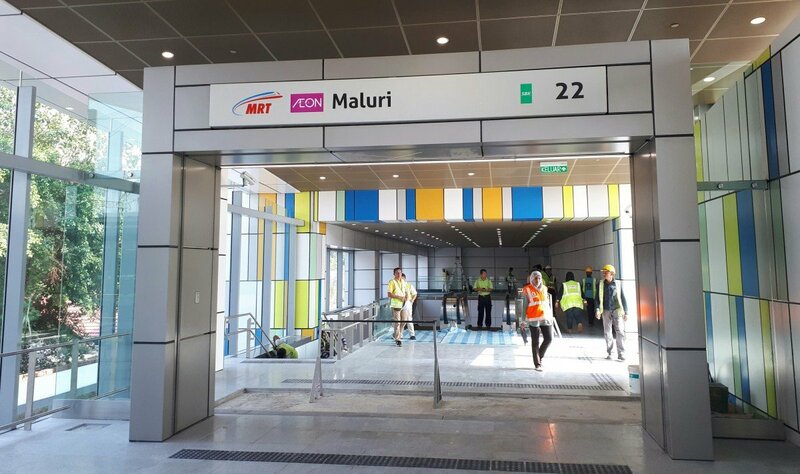 Entrance C which is directly connected to the paid-to-paid linkway to the LRT station; and Entrance D which is also on the Kajang-bound side of Jalan Cheras allowing access to the Maluri Bus Hub and the park and ride facilities. 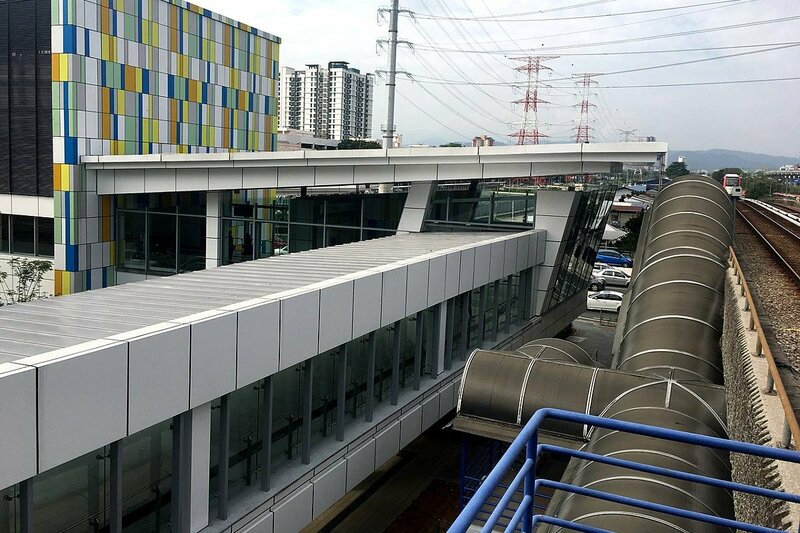 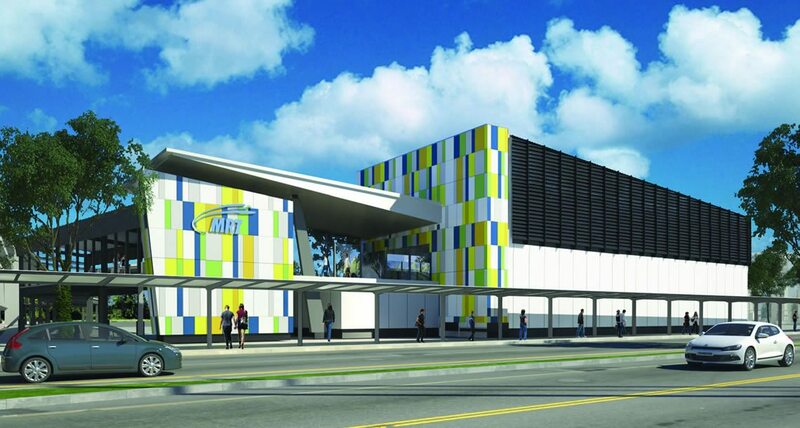 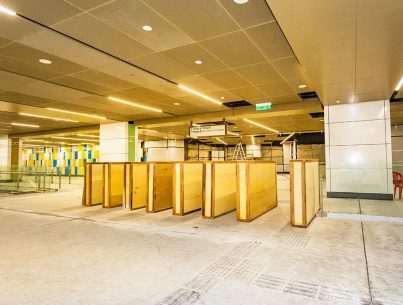 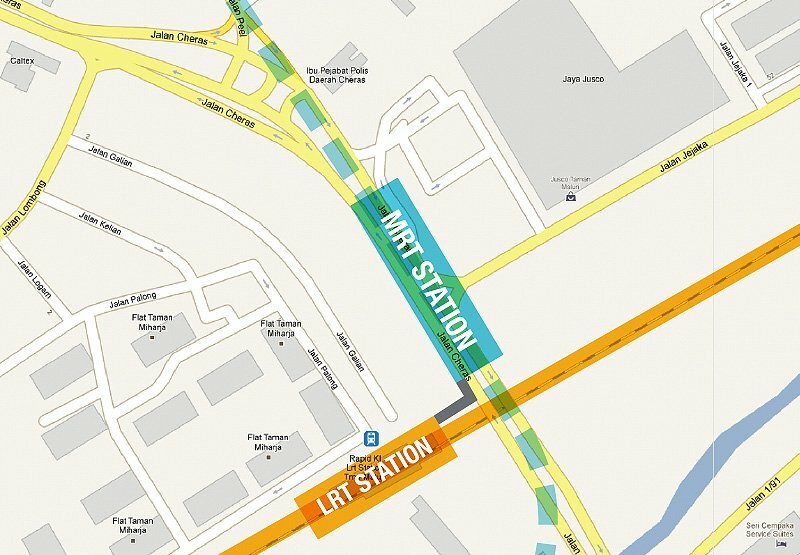 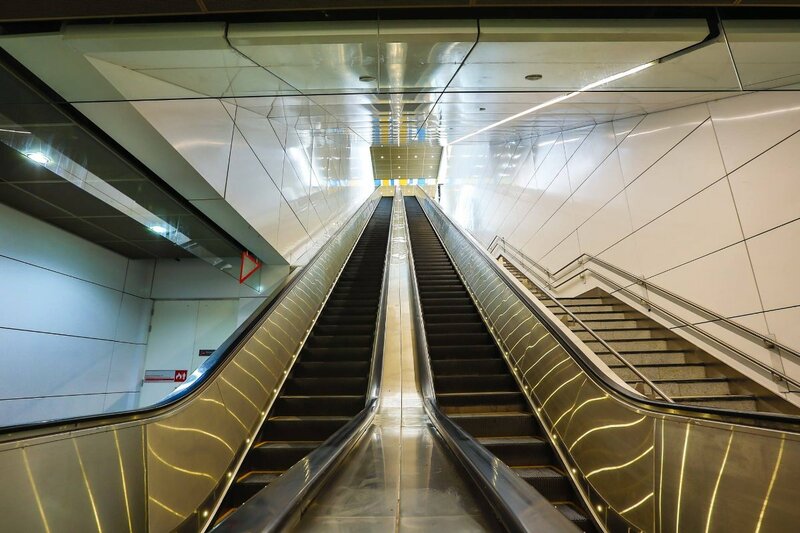 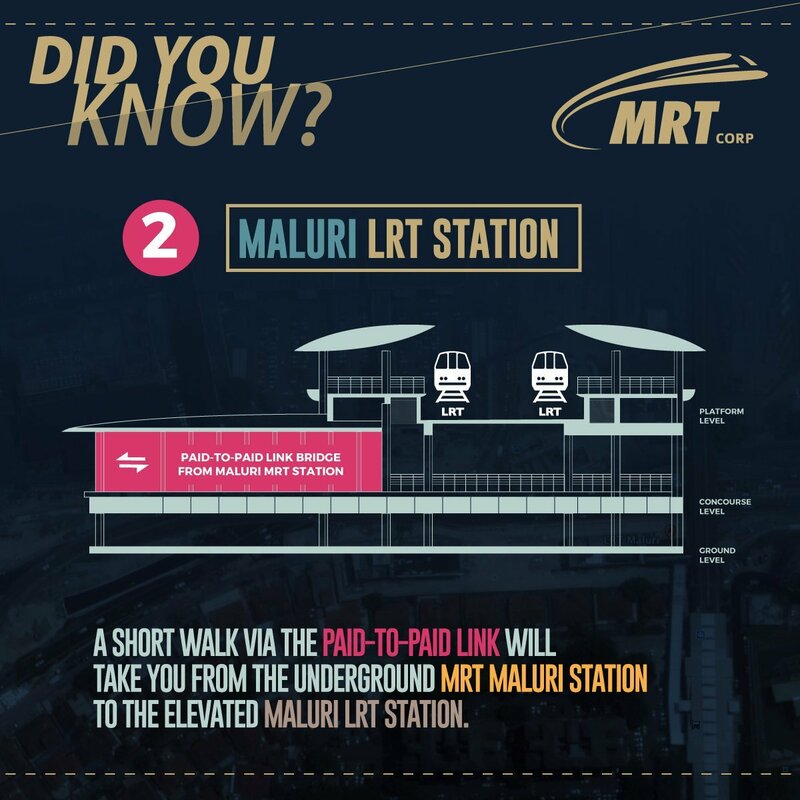 The Maluri MRT Station will connect to the Maluri LRT Station via a Paid-To-Paid linkway. 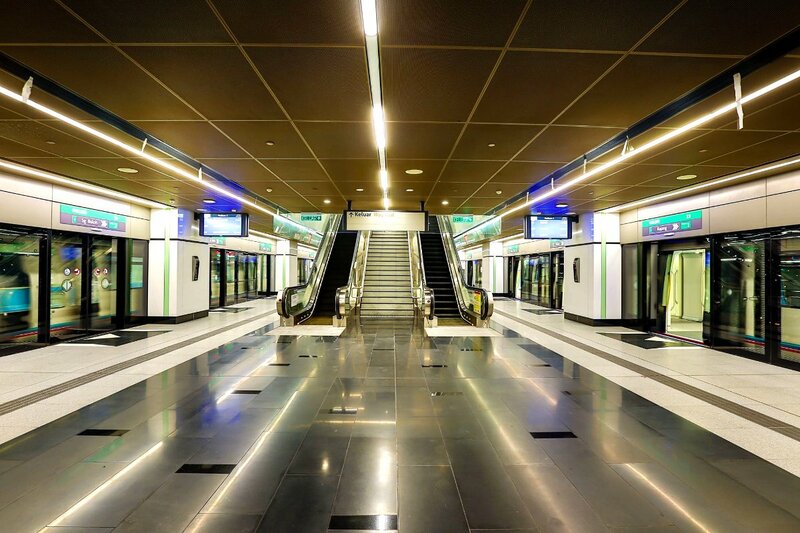 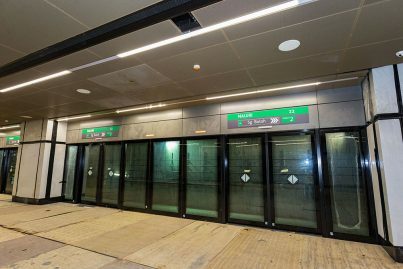 The linkway was built together with the MRT station. 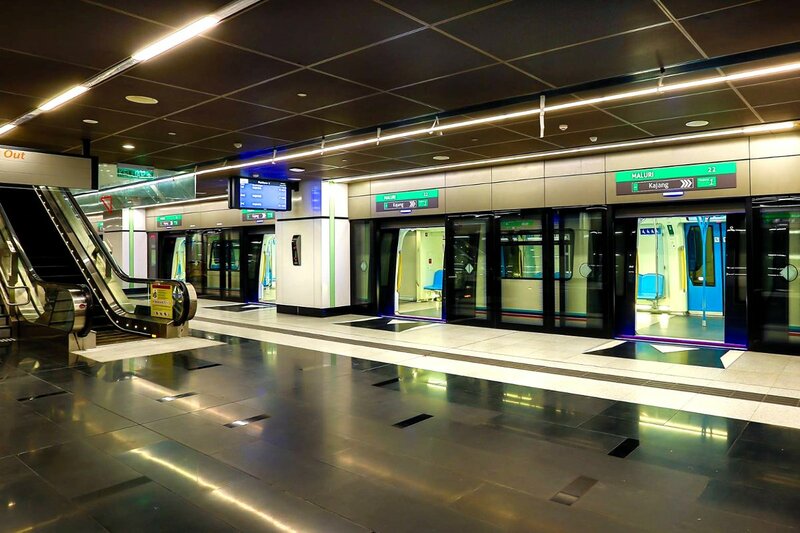 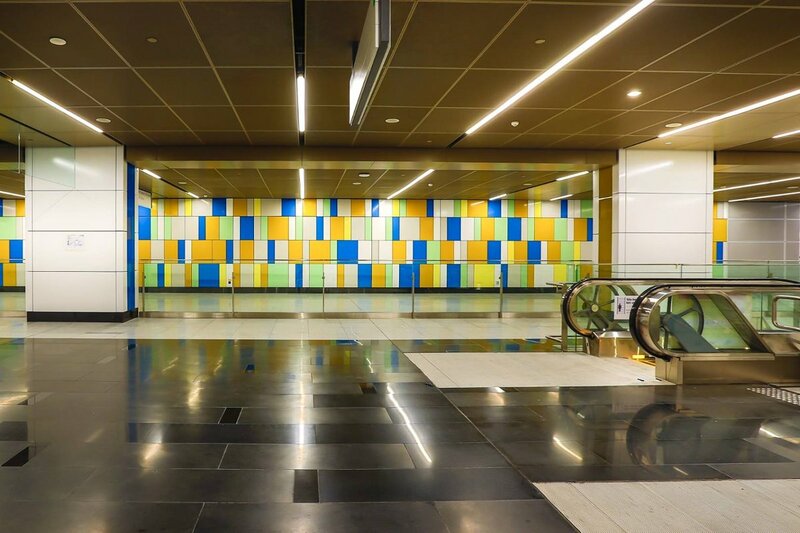 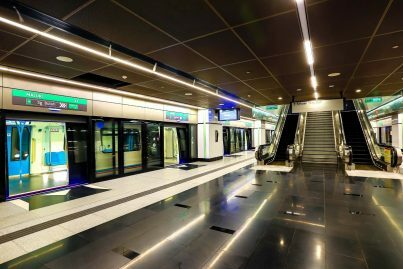 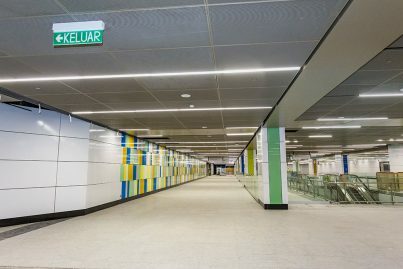 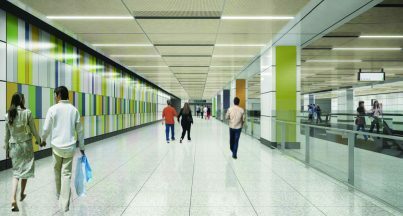 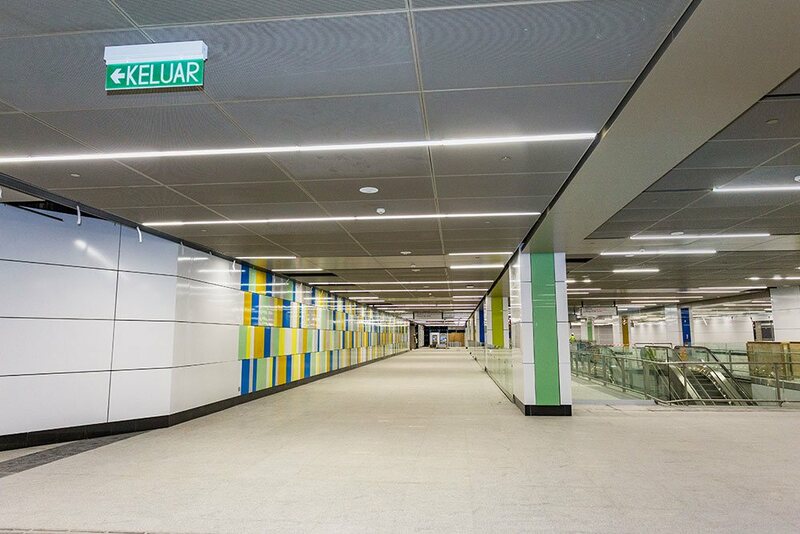 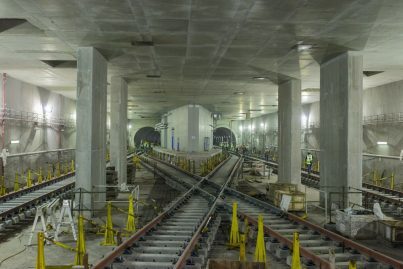 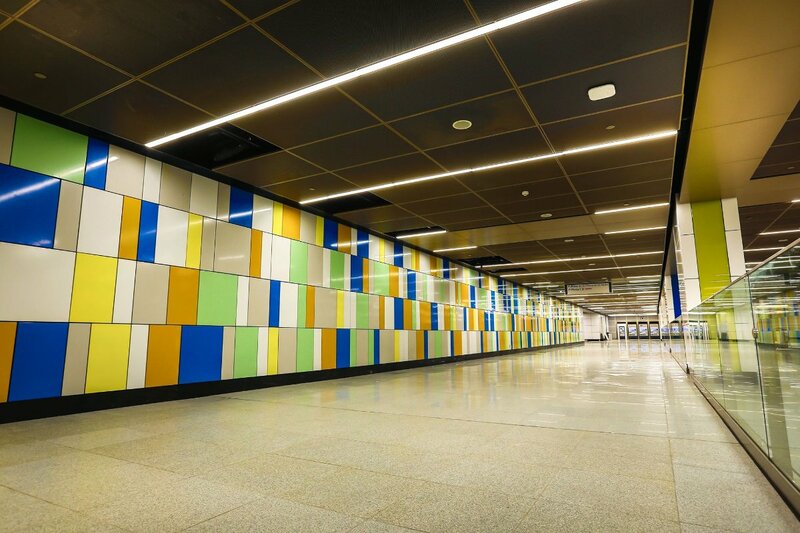 It connects the LRT station at the paid area of the concourse level while at the MRT station, the linkway connects directly to Entrance C which is located one level above ground level. 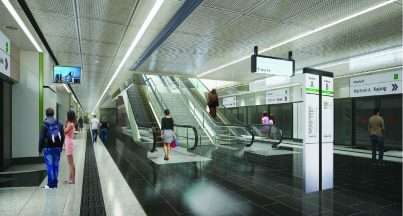 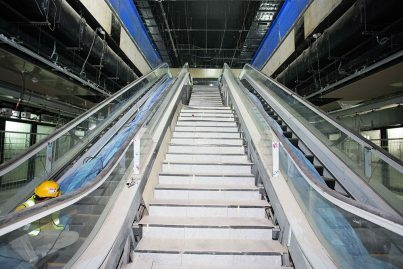 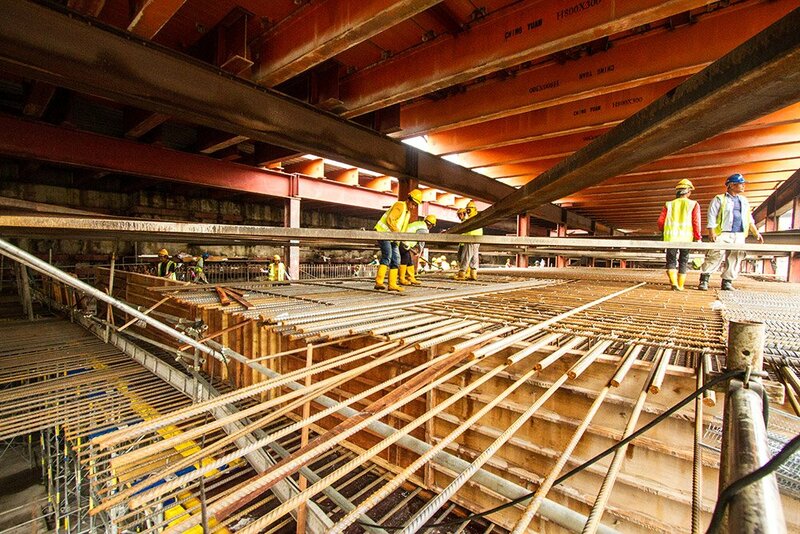 From Entrance C, escalators, a lift and staircase go directly down to the paid area of the concourse, which is located on the first underground level. 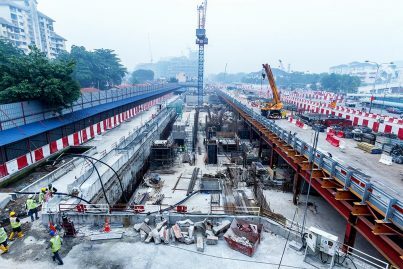 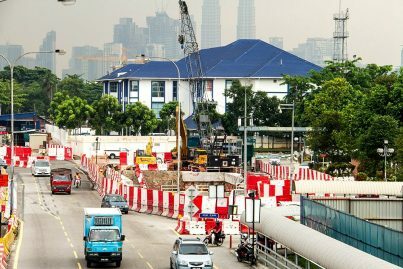 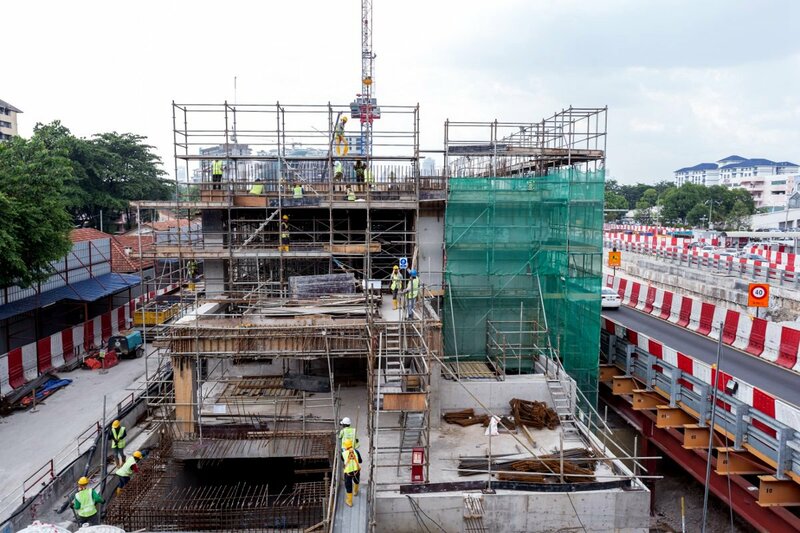 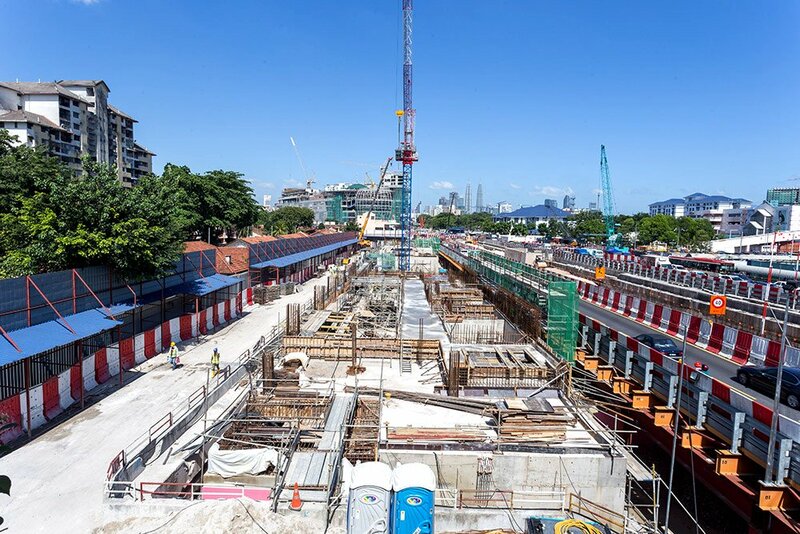 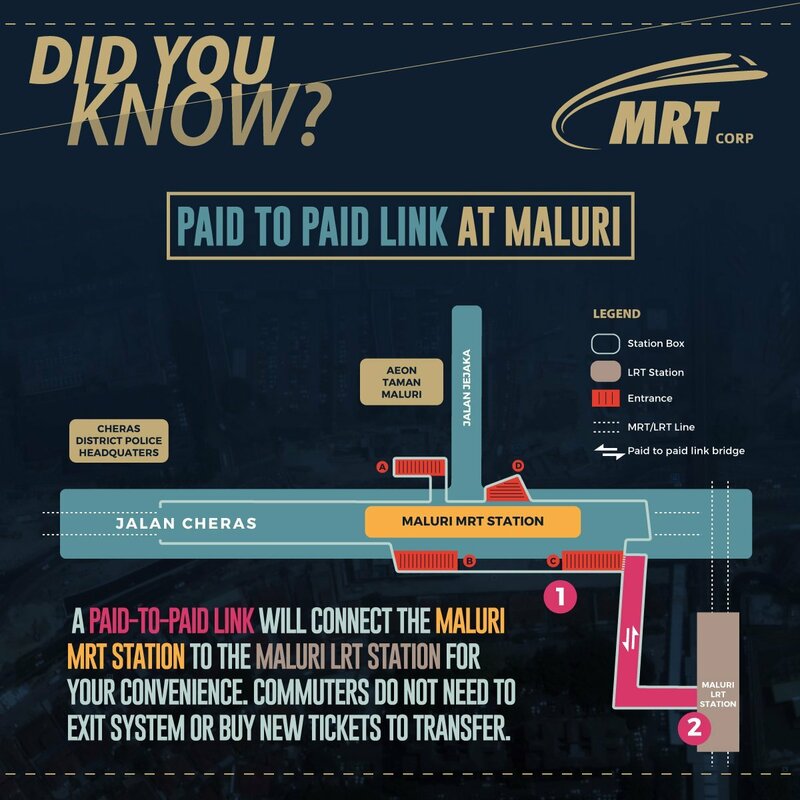 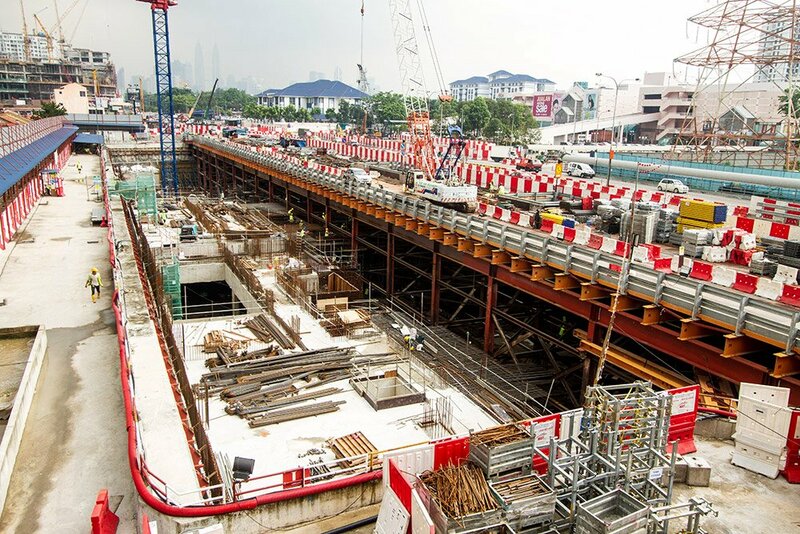 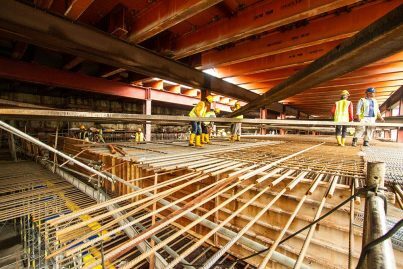 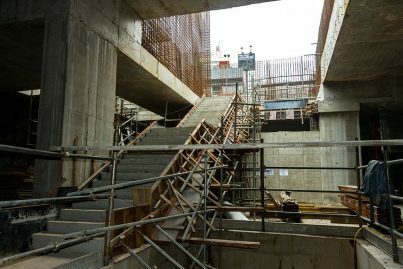 A Paid-To-Paid link will connect the Maluri MRT station to the Maluri LRT station. 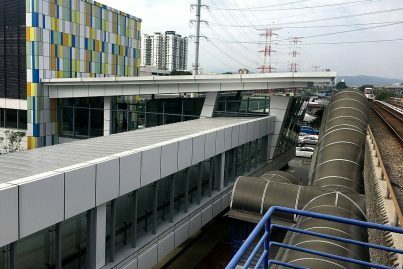 A covered walkway connects the two rail systems. 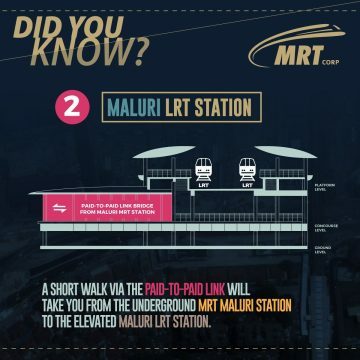 The walk takes about 2 mins. 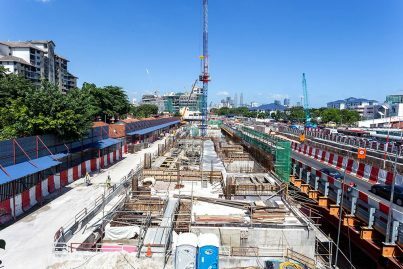 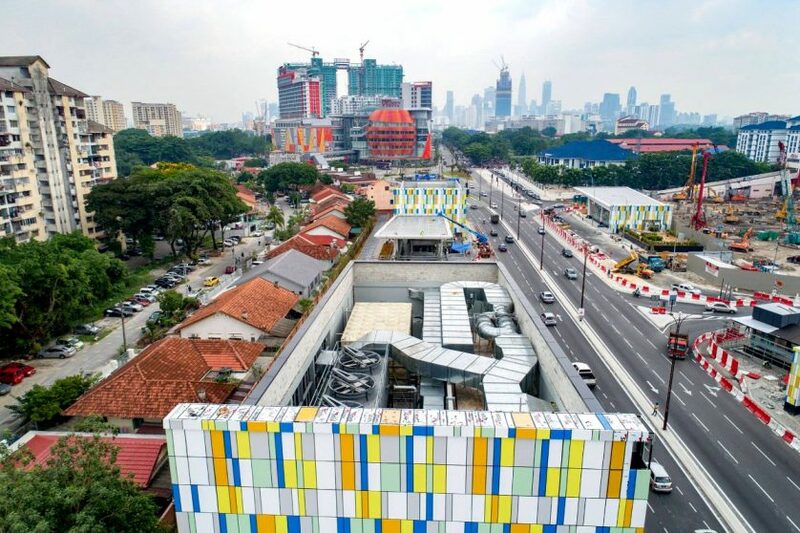 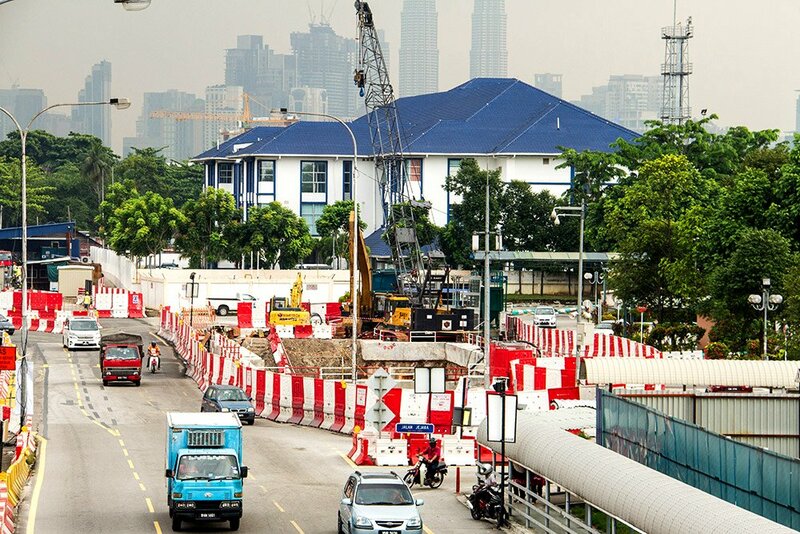 A Paid-To-Paid link will connect the Maluri MRT station to the Maluri LRT station. 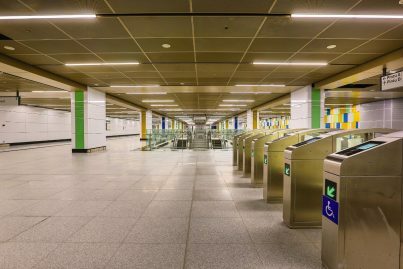 Commuters do not need to exit the system or buy a new ticket to transfer. 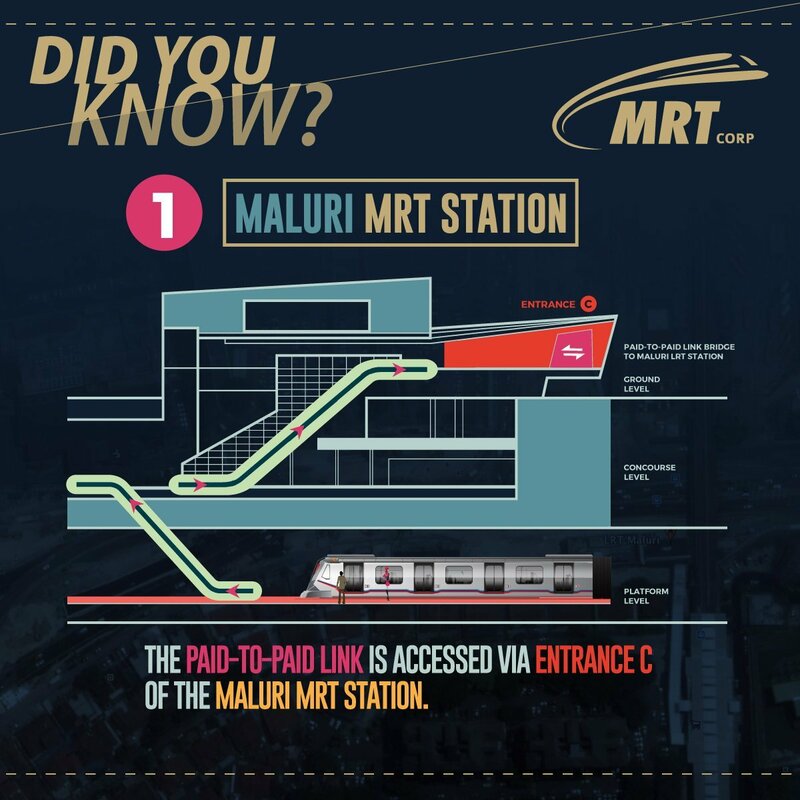 Maluri MRT station is also integrated with Ampang Line LRT. 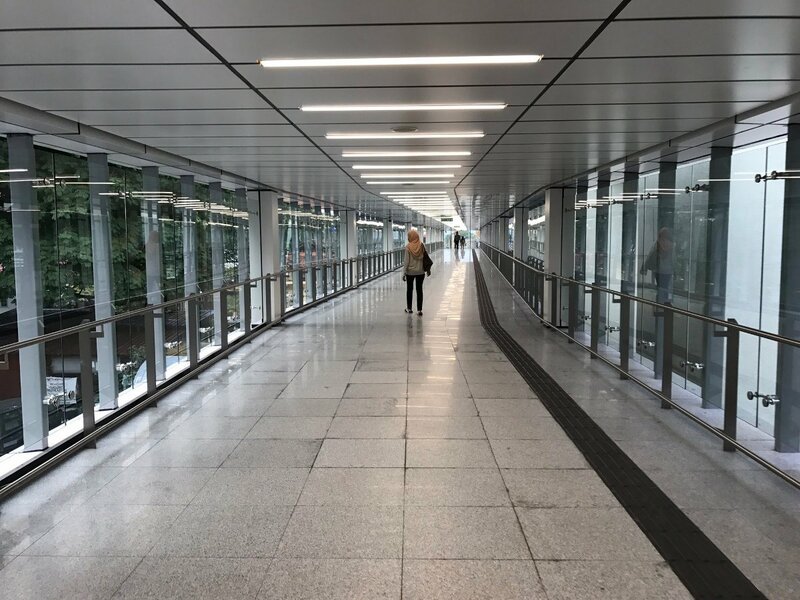 A covered walkway connects the two systems. 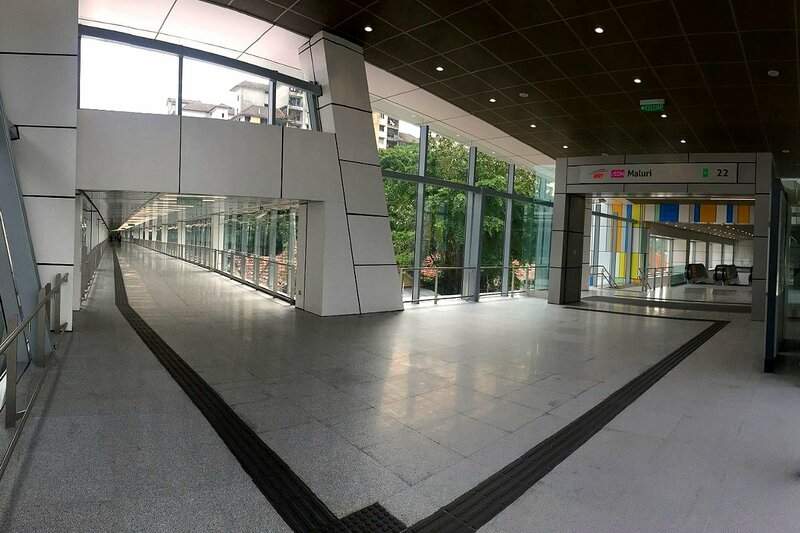 The walk takes about 2 mins. 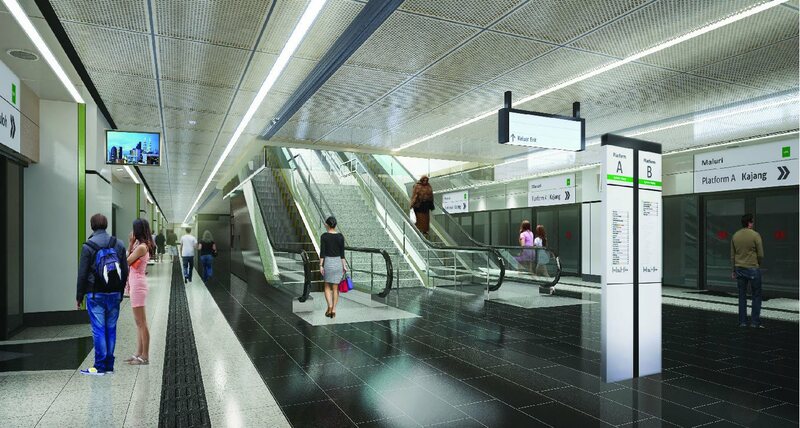 Artist impression of the Maluri Station entrance.